Preparing for the Worst or the Best? Why do we try and control others? Why do we work so hard to control our circumstances, behavior and environment? Could it be that we are scared? I often expect the worst. Running through different scenarios I try and prepare for the “what ifs”? I think I do this because I do not trust myself. I do not often react to the unexpected, or the unraveling, with much grace. I worry, I get mad, I have a fit. And I don’t want to respond like that. I try to protect myself. I control, so that I am not caught off guard. I am attending a funeral this Saturday. One of my best friends from high school said good-bye to her husband after a 10 year cancer battle. They knew the worst could happen, but in the process of preparing for this possibility they lived their best, together, being strengthened by Christ. They loved through the lament. They laughed together through the pain. 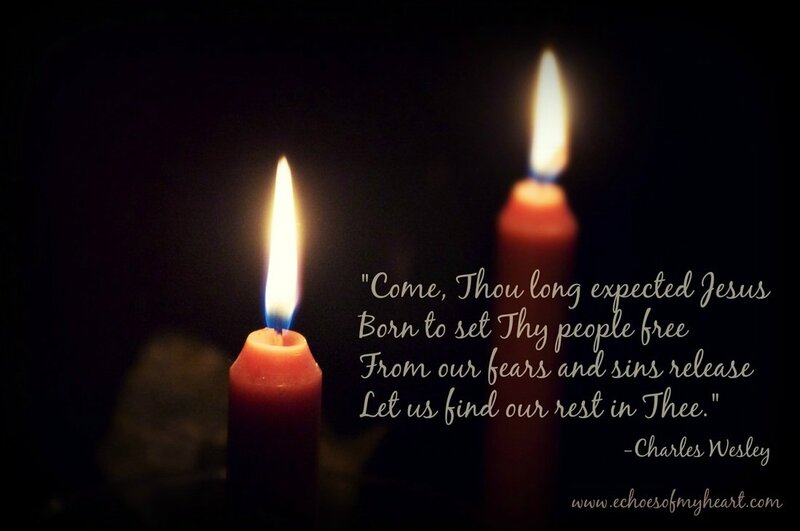 They cried out to the One who came bringing true hope and eternal life; this long expected Jesus. Sometimes the worst does happen. But some times, often times, it doesn’t. Maybe I should spend more energy preparing for the Best? There is not guarantee that things will turn out how I think they should, or how I see as best. But if I truly prepare my heart for The Best with a capital B, then I am on track. Anna and Simeon prepared for the arrival of the Best (see Luke 2:21-38). The waited expectantly for the one that their hearts longed for. They were committed to their goal…to see the long expected One and gaze upon His holiness. Their energies, their time, and their longing were fixed on the coming King. They prepared their hearts to receive the Best, and they were not disappointed. Take 3 minutes to watch this incredible video of Come Thou Long Expected Jesus. An artist paints the biblical account (from Creation to Christmas) as this powerful song unfolds. P.S. Do you know this long expected One? He came to earth as a baby many years ago. He was full of grace and truth and lived a sinless life. He died a sinner’s death on our behalf (taking upon Him all our sin- past, present and future). He was resurrected from the grave. He now sits at the right hand of the Father until He returns again. Jesus did all this because He loved us and longed to set us free from the worst (an unreconciled relationship with God and eternal separation from Him in hell). He gave His best so that, if we believe that He is the Savior and make Him Lord, we can truly live. In this world, in this season, we will have trouble, but we can take heart, and take courage, because Jesus has overcome it (see John 6:33). That, my friend, is the very good news! P.P.S. Are you walking with grief this holiday season? Do you have a loved one who is? May I suggest a powerful little book to help you and them? Kate Motaung has written straight from the heart in Letters to Grief. She knows what it is like to walk with loss and gently points the reader to the hard and the holy. It is available for purchase for only $.99 over at Amazon. 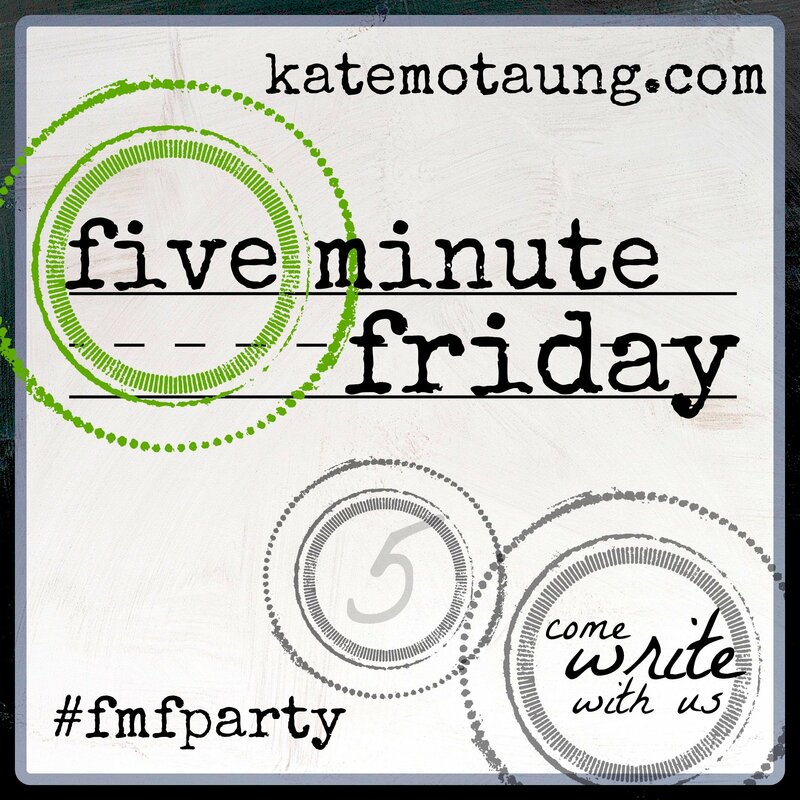 Linking-up with the Five Minute Friday gals as we prepare our hearts for Christmas. As we celebrate the coming King let’s pour our hearts out to Him and lavish gifts upon Him (like demonstrating agape love to the unlovely, spending time with those He’s placed in our path, and adoring His presence as we daily follow His lead). Merry Christmas from the #TightlyWoundWoman to you, dear one! Such an incredible reminder of what is really important and what really matters in this world. I know we put these words out there to just write, but they do impact others and today, I needed your post so thank you for your words. Found you on Five Minute Friday! Wow… I love that video! Thanks so much for including it! And yes, my friend… let’s plan for and expect the Best! I loved this post! Sorry about your friend’s loss. Prayers for her and her family. Thank you very much for prayers for my friend Tara. Yes, control. I am naturally suspicious, a pessimist full of hope while gripping doubt with white knuckles. My theme this year has been Let Go and Let God, and I have learned a lot… mainly that it’s going to take more than a year to really grasp the concept. Glad to have stumbled upon you via FMF!